Gardening in Washington State » Search results for "garden pests"
Search Results for "garden pests"
Did you know that, as a complement to the Washington State University Gardening Blog, the WSU Extension Gardening Team has also developed pest sightings LISTSERV? 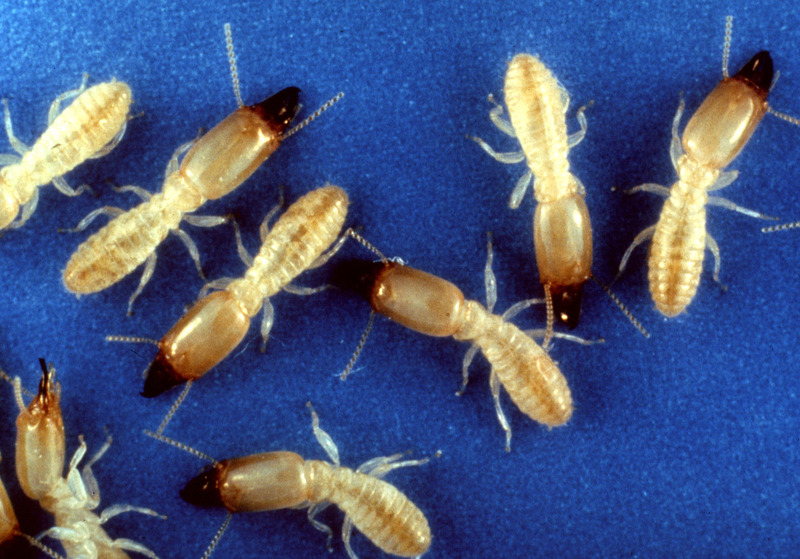 The LISTSERV will alert you to new pest information and other major pest news. While we will stick to home and garden insects, diseases, weeds and vermin, the list may also interest Agriculture/Horticulture/Natural Resource researchers, educators and Master Gardeners. 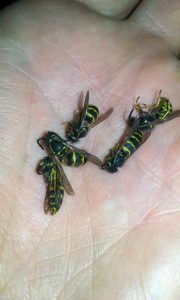 To join, email: pestsightings-hg@lists.cahnrs.wsu.edu with the word “subscribe” in the subject line. Short and to the point, news you can use. Feel free to contact Todd Murray (tmurray@wsu.edu) with any questions. In 2001, European chafer grubs were discovered infesting lawns in New Westminster, the greater Vancouver area of British Columbia, Canada, less than 15 miles from the northernmost border town in Washington State. The risk of movement from infested areas via human activity is high. 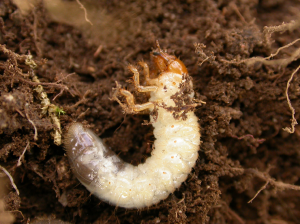 Larvae are the damaging stage of the European chafer. They commonly prefer to feed on cereal plants like turf grasses and wheat. 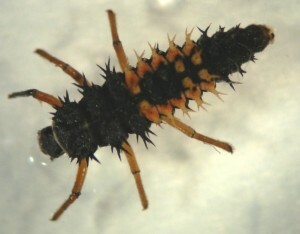 They have also been found feeding on the fine roots of broadleaf plants and conifers. In turf, larvae feed in the root zone up to the root crowns. Secondary pests such as raccoons and skunks peel back turf to feed on the grubs, causing significant damage to lawns. April to May and September to October are the best times to monitor for the grubs because this is when they are the easiest to spot (i.e., at their largest stage). For more information, see Pest Watch: European Chafer. For nearly every plant in the home landscape, there is an aphid species that feeds on it. Fruit trees are no exception. Apples host a green apple aphid, cherries host a black cherry aphid (Myzus cerasi), and peaches and nectarines host a green peach aphid (M. persicae). While aphids rarely damage the fruit itself, they can compromise the health of a fruit tree, reduce the size of the fruit, and deposit a sticky substance called honeydew on the surface of fruit and leaves. 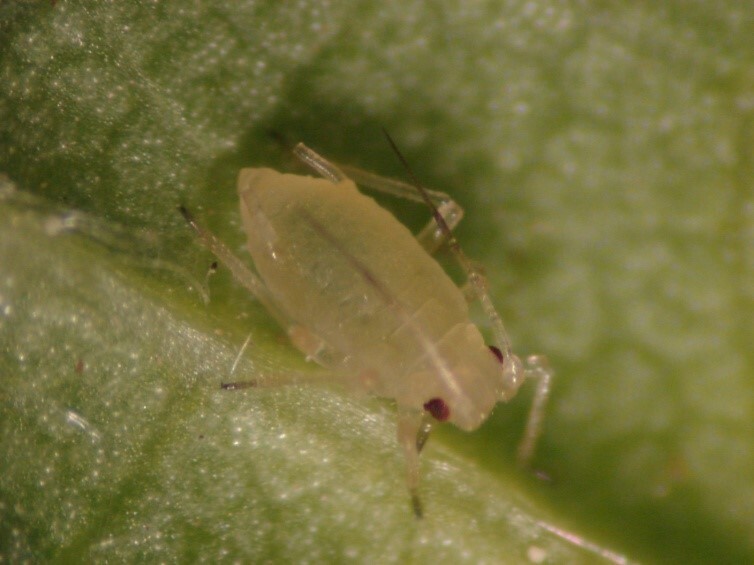 There are many beneficial insects that graze on aphids, and in most years, these natural enemies do a fair job of keeping aphid populations in check. Beneficial insects include lady beetles, lacewings, syrphid flies, and parasitic wasps that sting and lay eggs in aphids. Learn to recognize these beneficial insects and conserve them. 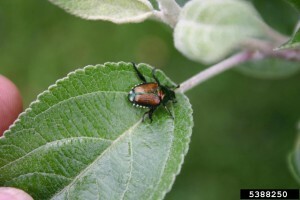 Many types of beneficial insects can be drawn to the home landscape by planting certain flowers in the yard, such as asters and legumes, as ground cover beneath the fruit tree. Perhaps one of the best ways to conserve these biological agents is to minimize pesticide use. Organic pesticides products should only be used when necessary to protect the fruit and maintain the health of your tree. For more information on organic management of tree fruit pests see the WSU Extension manual EM066E- Organic Pest and Disease Management in Home Fruit Trees and Berry Bushes by Drs. Charles Brun and Michael Bush on-line. For more information on beneficial arthropods in the home landscape, see the WSU Extension manual EM067E- Beneficial Insects, Spiders, and Other Mini-Creatures in Your Garden: Who They Are and How to Get Them to Stay by Dr. David James on-line. Before planting a backyard cherry tree, homeowners should consider the challenge of pest management, especially management of the western cherry fruit fly (WCFF). Fruit infested with the cherry fruit fly larvae, known as maggots, may have a dimpled appearance, but the maggots can still be difficult to detect when examining the surface of the fruit. However, as the maggots mature, they break the surface of the cherry and open a hole in order to breathe and exit the fruit. 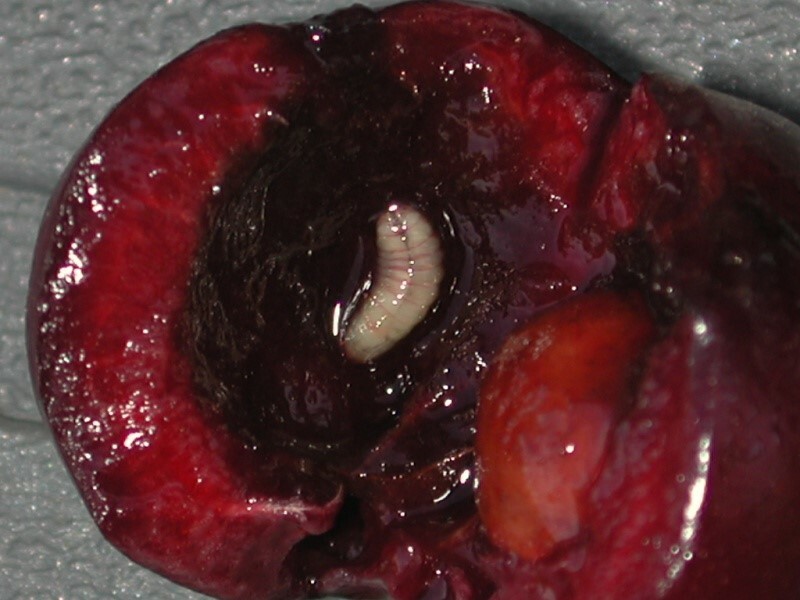 Sweet cherry infested with cherry maggot. Photo by Mike Bush, WSU Extension. 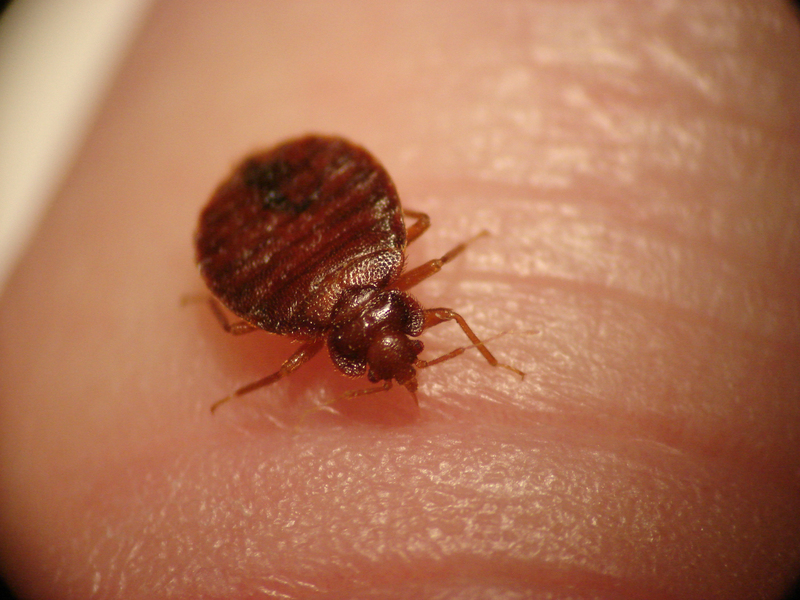 There are relatively few proven strategies that homeowners can use to manage this pest. The primary non-chemical strategy to manage WCFF is to pick off every cherry from the tree at harvest. WCFF management will be considerably easier for homeowners who plant fruit trees grafted to dwarfing rootstocks. For a list of pesticides (including organic products), homeowners can access the WSU Hortsense website at http://pep.wsu.edu/hortsense/ . Backyard sweet cherry skillfully and properly trained/pruned to a 10-foot height. Photo by Fred Staloch, WSU Master Gardener volunteer. 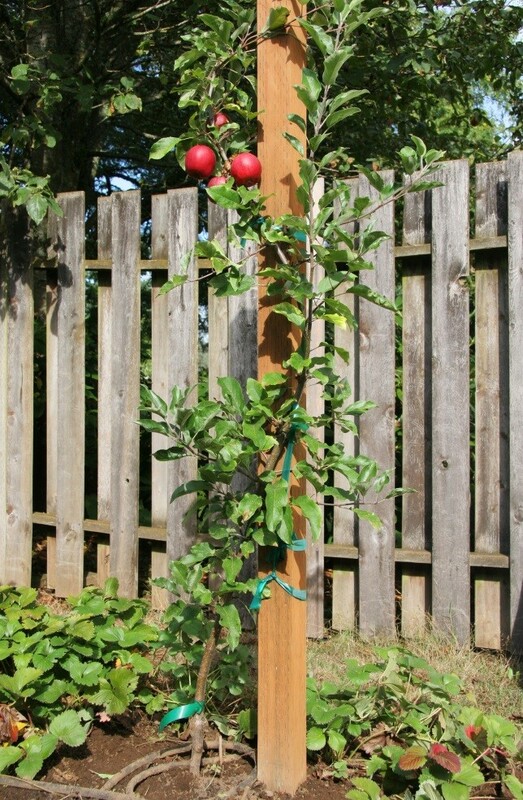 Home gardeners should consider using fruit trees grafted to dwarfing rootstocks. 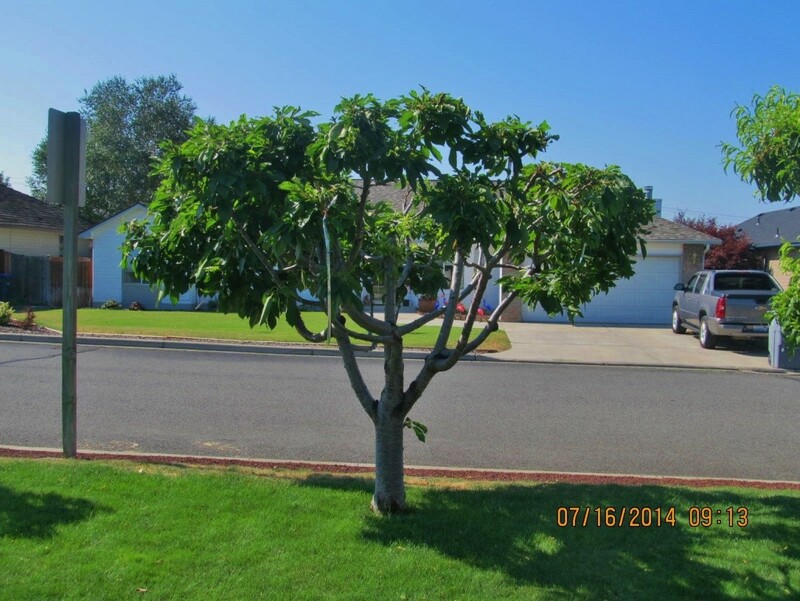 Trees grafted on dwarfing rootstocks are not only shorter, but take up far less space within the home landscape. They also tend to mature and set fruit sooner than full-sized trees. Fruit trees grafted on dwarfing rootstocks are easier for homeowners to maintain and manage pests by organic means. Dwarfing rootstocks for apple, cherry, pear, prune, and plum are available to home­owners at many home and garden centers. Some nurseries sell just the rootstocks for home gardeners who are interested in budding or grafting their own dwarfing fruit trees. 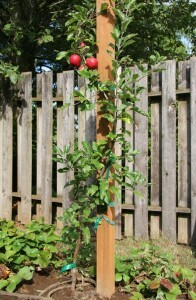 Traditionally, apple trees in western Washington have been sold on semi-dwarfing rootstocks. Depending upon the vigor of the cultivar, it is not uncommon to find trees reaching a height of over 15 to 18 feet when semi-dwarf rootstocks are used. To best ensure that the total tree height will not exceed 10 feet, homeowners should select trees with fully dwarfing rootstocks such as M9, Bud 9, or M27 varieties. Full dwarfing rootstock trees are now available at independent garden centers. The fruit on dwarf rootstock trees should be compa­rable in size to those found on semi-dwarf rootstocks. Full dwarfing rootstocks trees are not self-supporting. They require support either from a post or a wire trellis. Trees grown on full dwarf rootstocks typically bear fruit within 2 years, while trees on semi-dwarfing rootstocks may take 4 to 5 years. Regardless of the rootstock chosen, overall tree size is best maintained by proper training and pruning. For more information, see Organic Pest and Disease Management in Home Fruit Trees and Berry Bushes http://cru.cahe.wsu.edu/CEPublications/EM066E/EM066E.pdf . What is making tunnels in my yard? There are a number of animals that can cause damage to lawns, gardens and crops in Washington through their tunneling habits. 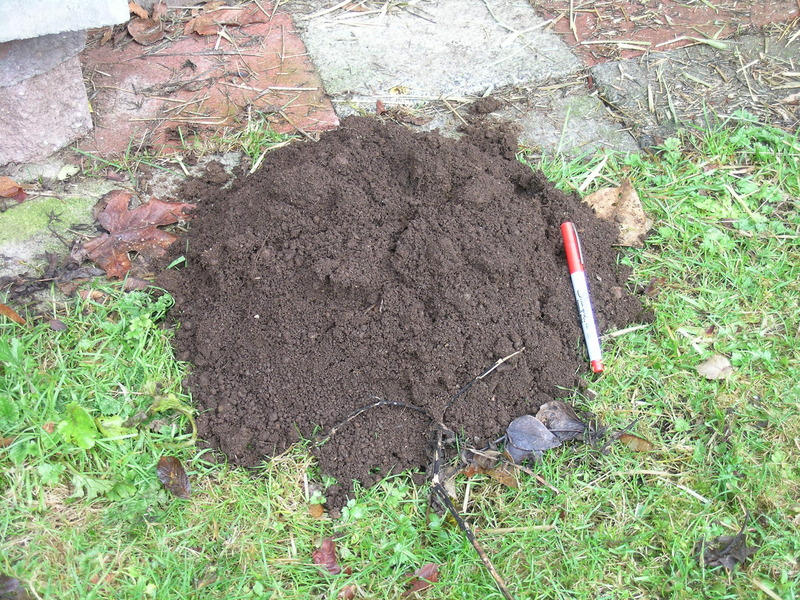 The most common pests are moles, voles, gophers and rats. 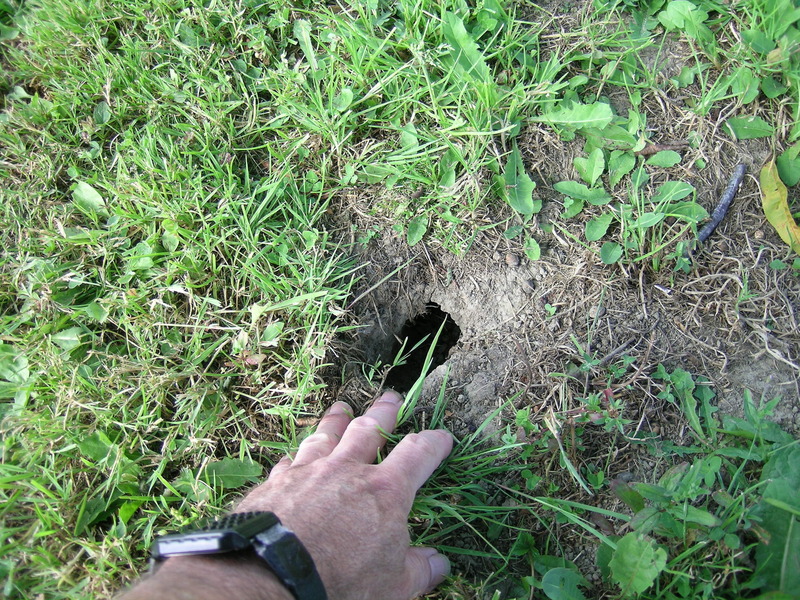 Ground squirrels in eastern Washington and chipmunks statewide also burrow but are active during the day and so are usually easy to visually identify…but what about those diggers you never see? The new WSU Extension Fact Sheet, “What is Tunneling in My Yard” will help you identify the guilty parties so you can plan your management strategy. Praying mantids are among the largest (1 to 4 inches long) and most recognizable garden predators—and they’re not fussy about what they catch and eat. They are “sit and wait” predators that pounce on any insect that comes too close, including beneficial in­sects, like bees and butterflies. 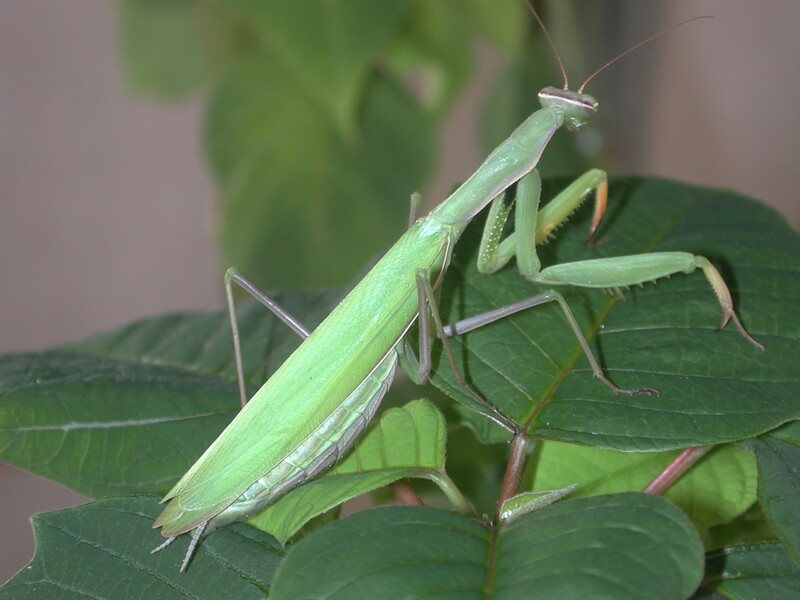 The most common species in the Pacific Northwest is the European mantid (Mantis religiosa). Praying mantids are most often seen in the garden from mid-summer to mid-autumn. After laying a number of white, hard-foam egg cases (which overwinter attached to branches and trunks), Mantids are typically killed off by the first frosts of autumn. They kill and consume a good number of pests like caterpillars and flies, but their contribution to garden pest control is usually less than their larger-than-life image. An adult female praying mantid, Mantis religiosa, poised on potted poinsettia plant in search of its next arthropod meal. Photo by Mike Bush, WSU Extension.